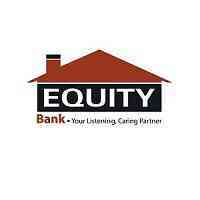 Equity Bank is the region s leading Bank whose purpose is to transform the lives and livelihoods of the people of Africa socially and economically by availing them modern, inclusive financial services that maximize their opportunities. With a strong footprint in Kenya. Uganda. Tanzania. Rwanda, South Sudan and now in DRC, Equity Bank is now home to more than 11.5 million customers – the largest customer base in Africa. Reporting to the Head of Credit, the Senior Manager Recoveries will be charged with a responsibility of ensuring that the recoveries unit is managed efficiently and is equipped to meet its business objectives, to execute collection strategy and maximize prospects of full collection from overdue payments through implementation of collection activities and controls that effectively manages delinquency ratios and losses, whilst maintaining customer goodwill as well as to lead, coach, train and guide the team of Collections and Recoveries in recovery of outstanding amounts. The incumbent is expected to uphold and promote the Banks Core Values. Mission and Vision. Managing debt recovery costs within set budgets included arc rationalization of service providers, cost containment through prudent decision making and vetting of fee notes relating to debt recovery. Compliance with the bank’s credit policies and Central Bank Prudential Regulations on loan classification and provisioning, resulting in favorable audit reviews. Contribute to Group profit through write backs, included are the reduction in non-performing loans to less than 5% through aggressive recoveries and restructures as the business case may warrant. Deliver on Bank Collection and recovery Strategy vide formulation of short term and medium-term collection/recovery action plans across the credit life cycle. To have an adequate and relevant collection strategy commensurate with the size and risk of the portfolio. Ensure that all risks in Collections & Recoveries processes are identified, measured, monitored and controlled. Making optimal use of all collection tools and using analytics and data segmentation to enhance collection efficiency. Improve asset quality through recovery and rationalization of non-performing debts as appropriate. Take personal responsibility for embedding the highest standards of ethics, including regulatory and business conduct, across Equity Bank. This includes understanding and ensuring compliance with, in letter and spirit, all applicable laws, regulations, guidelines and the Bank’s Code of Conduct. Lead the Collections & Recoveries team to achieve the outcomes set out in the Bank’s Conduct Principles. Management degree/Professional Qualification in Credit Management preferred. Computer literacy particularly proficiency in Microsoft Excel, Word & PowerPoint. Good understanding and appreciation of the economic environment and its impact on consumers. Very good analytical skills needed to analyze economic climate and come up with appropriate collection and recoveries strategies. Be able to identify early warning signals. Leadership qualities with the ability to motivate others. Strong verbal communication skills and the ability to negotiate and influence. Able to work under pressure and with stringent performance targets. To be considered your application must be received April 09, 2019.